…a man about town… a person who frequents the most fashionable Paris locales…and a delectable cocktail…The Boulevardier. Another selection from the aforementioned Ted Haigh book – this one is spicy, sweet and herbaceous. This drink was first listed in Harry’s 1927 bar guide, Barflies and Cocktails. The Harry in question is Harry McElhone, who once was the face of the Plaza Hotel bar in New York, before opening his own joint, Harry’s New York Bar, in Paris. He, like many other thirsty spirits of his time, decided to skip out of town when things dried up thanks to the Volstead Act. This was the drink of choice for Erskine Gwynne, writer, socialite and nephew of railroad tycoon, Alfred Vanderbilt. Gwynne was an expat living in Paris who published a monthly magazine called The Paris Boulevardier. 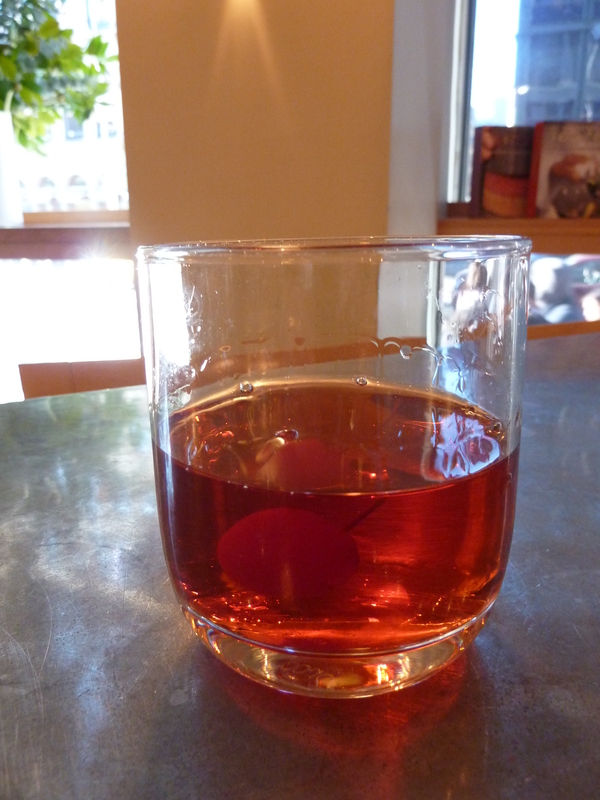 You may recognize the formula of this cocktail – sub gin for the bourbon and you’ve got yourself a Negroni. I must say that this beats any Negroni I’ve ever had. I bought Dr. Cocktail’s book early this fall but haven’t read through all of it yet. Glad to know this one is lurking in there. But now I have to decide if my first Campari cocktail is going to be a Negroni or a Boulevardier… How ever will I solve this conundrum? Thanks for reading, Ken. It’s a good problem to have!